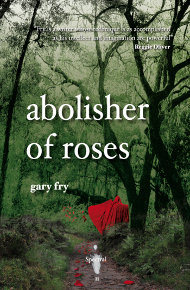 First up, on this I-can’t-decide-whether-to-be-sunny-or-cloudy early September Monday morning, is a mini-mini review of Gary Fry’s Abolisher of Roses from Australia’s premier writer of the fantastique, Angela Slatter – you can read it here! Next up is some major news, at least from my perspective. Up until now, Spectral Press has been run more or less as a ‘hobby’, as it isn’t my primary source of income. From January next year, however, I am considering putting the imprint on something of a more professional footing, alongside the freelance editing. At the moment, I don’t make much money from Spectral, with a profit per year in the hundreds not thousands, and I’m not envisaging that it ever will bring in any substantial returns: nevertheless, I feel that, judging by the success and the reputation that it’s garnered already in such a short time, it might be worth exploring this option. I am certainly planning on expanding the imprint at some point, with new lines of books such as novellas (Spectral Visions) and the Spectral Signature Editions, as well as the possibility of audiobooks and eBooks, too. The last thing I want Spectral Press to do is to stand still, but neither do I want to overextend myself too soon. All this expansion will be gradual – any new lines will be introduced once every one or two years. There is most definitely a bright future for the imprint, I have big ambitions for it and therefore I want to grab every opportunity that comes my way in connection with it. I want to build Spectral into something worthwhile, an entity that will become a permanent fixture within the genre community and a name that will be synonymous with quality and be respected for what it’s trying to achieve. No doubt I can do all that even if I kept it as nothing more than a ‘hobby’ but I am of the opinion that the imprint and the aims I have for it will be taken more seriously if I approach everything from a professional angle. Please note, however, that this is only being mooted as a possibility at present – it might be that I WILL go professional, so to speak, but in a couple of years’ time instead. It really is a matter of exploring my options, of which there appear to be many. But, whatever is decided, Spectral Press has a very bright future ahead of it!! Huzzah – excellent news! Although, you should probably check that bit about Slatter being ‘Australia’s premier writer of the fantastique’. I suspect a jelly wrestling comp is being organised to decide otherwise. Fantastic news of near-distant endeavors, or a ghostly illuminated future as it may be. May your curiosities and professional fore-site make the blooming of your personal lament-configuration meet the expectations of your desires good sir! ^ Yeah – i agree. (I think). Good luck with the future plans, it’s all very exciting and bodes well for the future of the horror genre. Thanks Anthony – I certainly think Spectral’s got a great future ahead of it! !